EWP designed, fabricated and installed the decking, wall cladding and the built in bench. 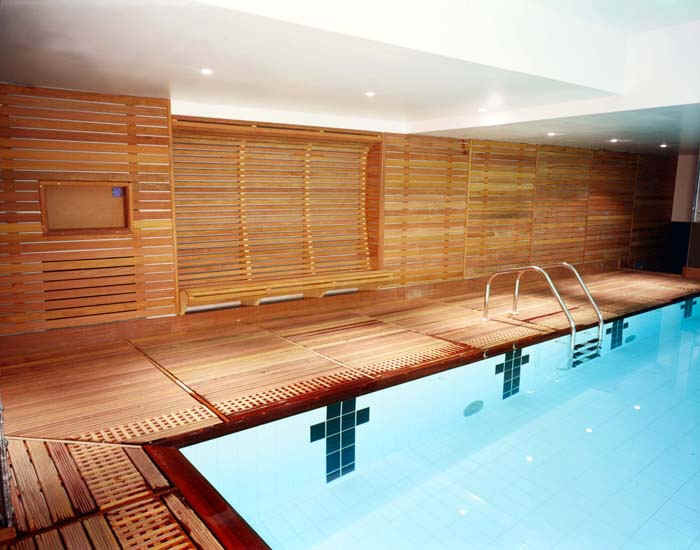 A special feature was the grating round the perimeter of the pool and the pool edge itself all made of Cumaru. EWP has just completed a refurbishment of this 10year old project replacing the floor panels which had withstood constant immersion in chlorinated water from the 'overflowing' type pool.